Merry Christmas and Happy New Year! May your holidays be filled with family, friends, sun (Come on, Mother Nature! ), and bikes! 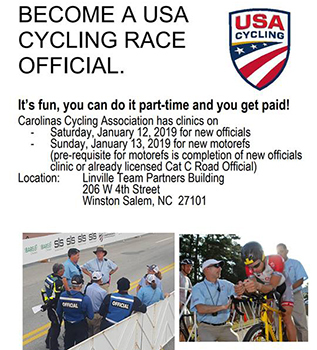 12-28-2018 Carolina USAC Officials Clinic Contact Stephen Johnson for more info. 12-21-2018 MEGA BUILD Workday-Southside Park From MTB Atlanta Mega Build day at Southside Park, Sunday, Dec. 23 Noon-4pm We are underway on building the new 3 mile Intermediate Trail at Southside Park and it is looking sweet! 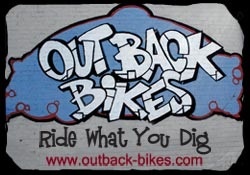 Come lend a hand with finishing work this Sunday if you are free and you dig trails. Meet up at the main parking lot at 12PM at Southside Park at 3460 Jonesboro Road, Atlanta 30354 and we will hike back to the work site. Wear weather appropriate clothing, closed toed shoes, bring water, snacks and gloves if you have them. Spread the word and let’s get this trail built so we can ride! Alabama Cycling Classic From the Promoter: The 17th Annual Sunny King Criterium returns to Anniston, Alabama next April! Join us on April 13th for the first one-day criterium on the USA Cycling Professional Road Tour for 2019. Enjoy our live stream broadcast with host Brad Sohner providing action packed racing commentary from 12-9PM CST. Onsite enjoy the sounds and tastes of the Noble Street Festival. Plenty of food and places to sit and relax course side. Racing begins at 10AM and goes on under the lights for the final professional mens and womens races of the day, ending at 9PM. The 5th Annual Piedmont Road Race returns to Piedmont, AL. on April 14th, 2019. We are excited to have a new start/finish line location and increased prize money for this event in 2019! The Piedmont Road Race course traverses the Talladega National Forest and finishes in the heart of Downtown Piedmont. The course offers rolling terrain and smooth pavement. It is a 40 mile loop! Also new for 2019 is an updated race schedule. We had overwhelming attendance for the 2018 event and had to combine some race categories. This year we took in solid feedback and are offering a whole new schedule. We want to include everyone, including juniors! We hope you find the new schedule complimentary to your needs. 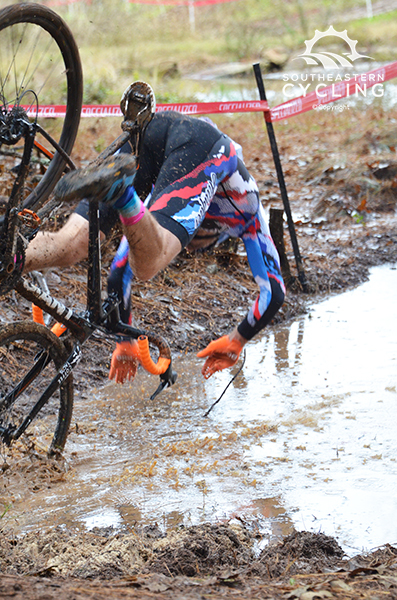 I raced at the Cyclocross National Championships in Louisville, KY this week in the Master 45-49 Women. It was great racing with some ladies that I have been racing with for 20 years. I met my goals of having fun and doing my best. 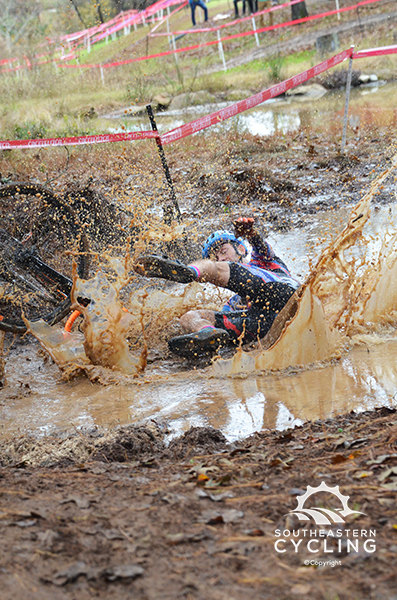 Conditions on Thursday for the Championship race were great! My off season starts today. It’s time to rest and recharge for 2019! 12-18-2018 USA Crit Series Press Release Schedule 2019 marks the 13th year of the USA CRITS Series, the premiere cycling series in the United States. Criteriums are the most spectator-friendly and enduring form of cycling racing in America. Locally originated events combine the highest levels of cycling with community gatherings and street festivals, while showcasing some of America’s most vibrant downtown districts. The 2019 Series season will feature a new preseason event in Birmingham, Alabama. The Birmingham HammerFest will have a unique format in that it will serve as an opportunity for cycling media and teams to interact while gathering team marketing content at different scenic locations around Birmingham. The Birmingham HammerFest will also be streamed for free on USACRITS.tv so be sure to tune in. Schedule for this event is coming soon. Eleven events across the United States will make up the 2019 USA CRITS calendar, landing in many of the country’s major cycling markets. 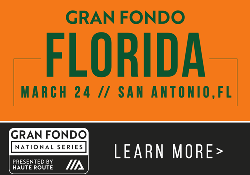 The Colavita #racefororange will kick off the racing season with the inaugural Destination El Paso Criterium in Texas, the Salt Lake Criterium joins the Series as another new event, and Saint Francis Tulsa Tough returns after a several year hiatus. Full details regarding Series events will be available on USACRITS.com in January as well as the Series Finals location. 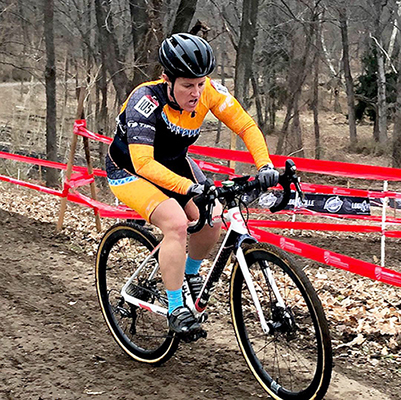 WINTER BIKE LEAGUE 2018-19: THE SATURDAY-SUNDAY DOUBLE HEADER!! 12-17-2018 HEY PROMOTERS! SEND ME YOUR PRESS RELEASES! Contact pageHey Promoters–I need your race and event info.! Send me a press release 8-12 weeks before your race or event! Press release publication on Southeastern Cycling is always FREE!! I do reserve the right to edit them for length. The PR must be in text or email format. Please not JPEG/GIF or PDFs. I can’t post those to the website. 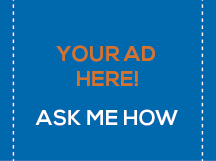 If you want to promote it REALLY GOOD consider our REASONABLE advertising rates for an ad on the right side of Southeastern Cycling! 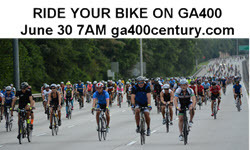 Reach tens of thousands of cyclists/month! Contact me for details. Use the or email sttarlite at hotmail.com. Clinton Winter Volunteer Day From SORBA West Georgia Clinton Winter Volunteer Day, Saturday, January 19, 2019 at 8 AM – 12 PM Clinton Nature Preserve, 8720 Ephesus Church Road, Villa Rica A few minutes, a few hours, what ever you can spare. Come out and join us for some winter clean up on the trails we all love. 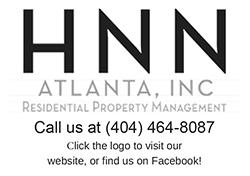 We will be working on poor draining areas, trimming any over growth, and other small projects. More information will be posted as we get closer to the date. 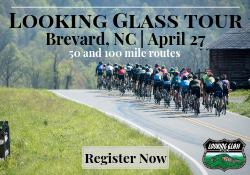 12-14-2018 USAC 2019 Pro Road Tour The Pro Road Tour includes only two events in the Southeast this year: May 25 Winston-Salem Classic Criterium (Men and Women) and May 27 Winston-Salem Classic Road Race (Men and Women) Press Release: The 2019 USA Cycling calendar aims to avoid long travel between races and blends road races with criteriums. The Pro Road Tour will span 18 events in 2019. USA Cycling announced the calendar for the upcoming season, which will mark the Pro Road Tour’s fourth year running, on Thursday. 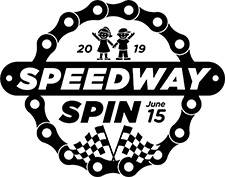 “The calendar is structured to provide a balance for travel, as well as support long-standing races that are traditions in local communities,” said Chuck Hodge, USAC Vice President of Operations. The 18 events include 10 criteriums, six stage races, a road race, and a time trial, across 16 different states. 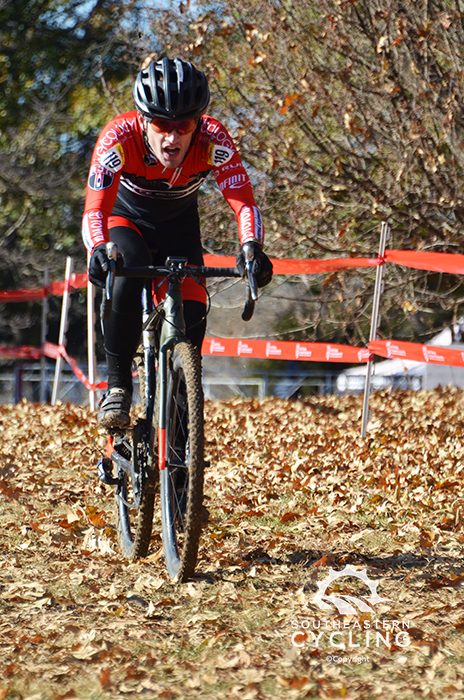 Murphy Davis (Toyota Forklifts) from Atlanta races in the Non-Championship Men 23-39 at the Cyclocross National Championships on Tuesday. 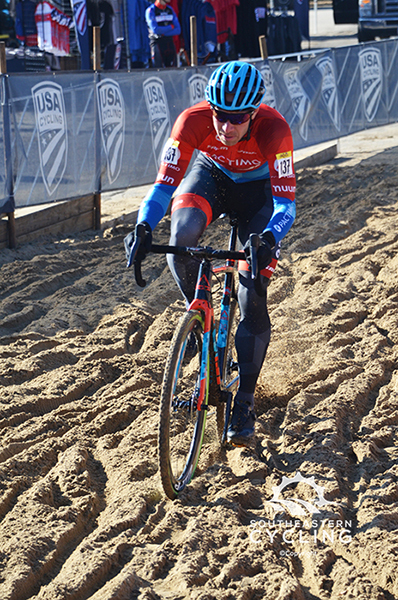 Jeremy Powers aka JPow won the Non-Championship Men 23-39 at the Cyclocross National Championships on Tuesday. 12-10-2018 Blanket’s Creek Work Party From SORBA Woodstock: Blanket’s Creek Work Party, Saturday, December 15, 9 am-1 pm, Help us cap off this awesome ride/build year with one more work party at Blankets Creek. Best part, Christmas party after. Bring gloves and boots. Let us know you are coming by clicking going so we can plan accordingly. Thanks in advance for you help. Sope Creek Work Party From MTB Atlanta Sope Creek Work Party Sat., Dec. 15, 9 am-Noon Join us for our monthly Work Party at Sope Creek and give back to the trails that you love to ride. We meet at the Columns Drive parking lot at 9 AM at the gate by the Fitness loop. Wear long pants, closed toed shoes, bring gloves, water, snacks. 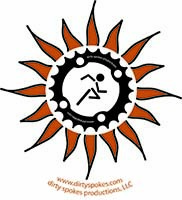 12-7-2018 Calendars Updated I have updated the Calendars with any races that I currently have for 2019. 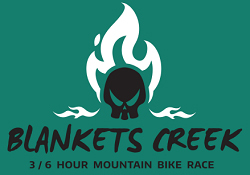 There are a ton of MTB/Gravel races that have put out their 2019 dates. Road Race dates are usually not finalized until late February or even a bit later. I add those as I get them. 12-5-2018 Hey Ya’ll! I need a favor. I’m trying to win the Serenbe CX Photography contest. Can you go over and “like” this photo on Facebook? Thanks! 12-3-2018 Serene CX Photos Photos from The Serenbe CX Race are ready! Please support your local photographer! 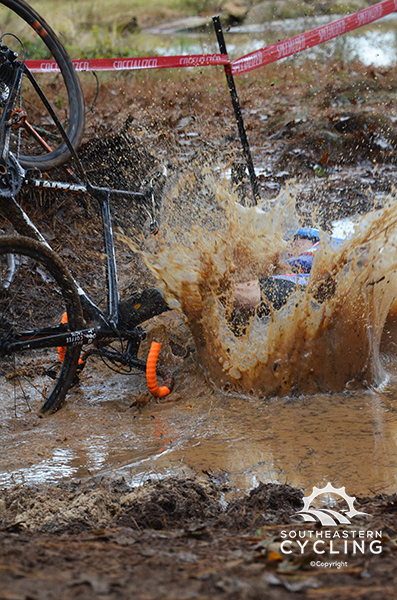 Jeph Burgoon (Smyrna Bicycles) had a bit of a swim in the water at Serenbe CX. 11-27-2018 Chicopee Work Party From SORBA NE GA Chicopee Woods Work Party Sunday, Dec. 2, 1-5 pm. Join us Sunday December 2 as we welcome CST Tires to Chicopee! Stick around afterward. We will head to Left Nut Brewing for carbo loading (i.e. enjoy a brew). CST is sponsoring this workparty. We will have a raffle for some CST tires. Tools are provided and everyone is welcome! Please RSVP to negasorba@gmail.com. We will meet at the tool shed in the upper parking lot at 1p.m. for sign-in and a safety briefing. Please wear long pants and closed-toed shoes. Bring water, snacks and gloves. Safety glasses and bike helmet are recommended. Volunteer hours count toward a free annual Chicopee parking pass (16 hrs earn a pass). For more info and to RSVP email us negasorba@gmail.com. Neighborhood Advocacy IssuesHi Everyone! 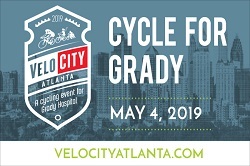 I regret that I am not able to get involved in more advocacy issues, especially when they are “neighborhood” issues and not the cycling community at large in the ATL. 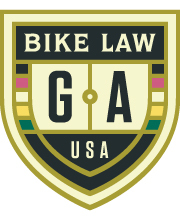 I recommend you contact the Atlanta Bicycle Coalition if you live in the city of Atlanta, Bike Cobb, Bike Walk Dunwoody, Brookhaven Bike Alliance, Georgia Bikes, Savannah Bicycle Campaign, or your local advocacy organization as well as your county/city council members, county/city mayor/administrator, county/city public works, etc. -Tshirts for kids race participants. The GACX kids race is always FREE for our future CX racers. Everyone gets a ribbon.